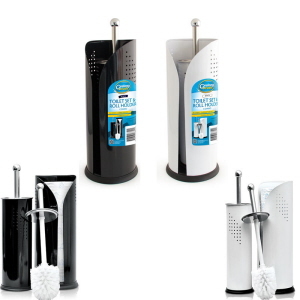 A Toilet Roll Holder and a Toilet Brush cleaning set that looks fantastic and suits Bathroom decor and colour schemes but has the functional user benefits required. 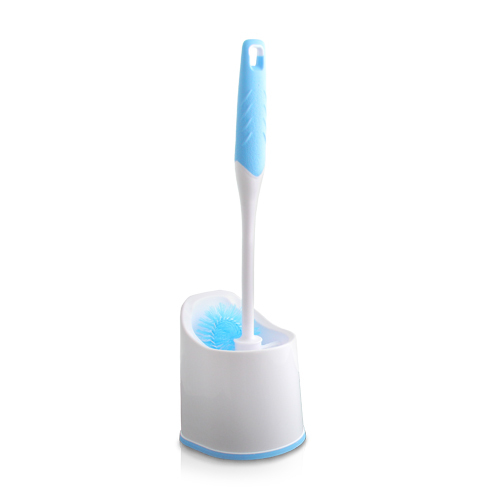 The toilet brush head is filled with high quality bristle fibre. 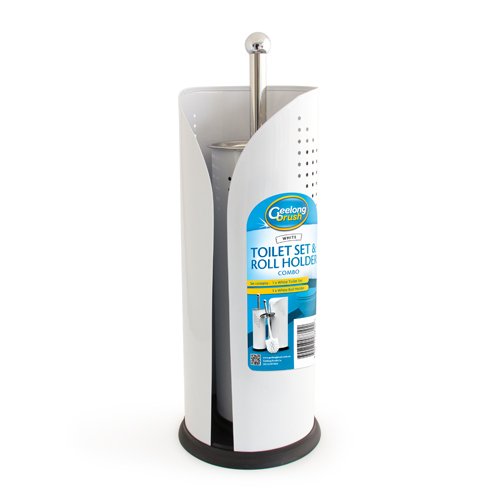 The Roll Holder is a 3 roll capacity unit. 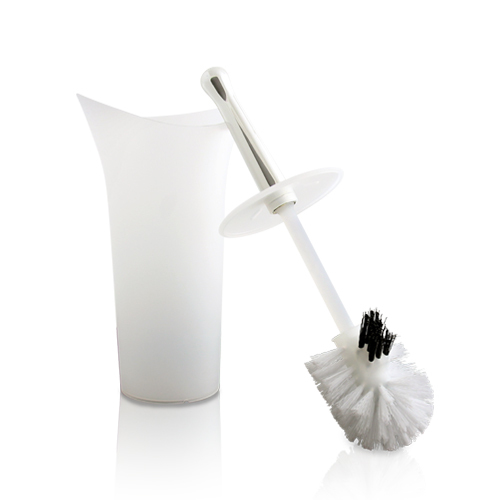 Available in 2 colours - white and black. 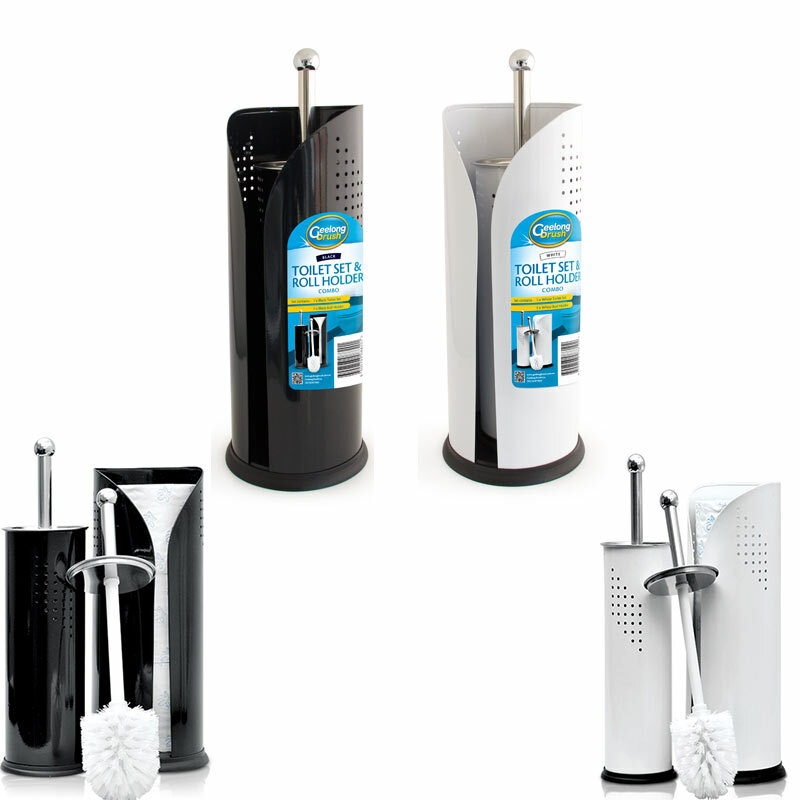 Modern Silhouette Toilet Set has been designed to suit contemporary bathrooms. 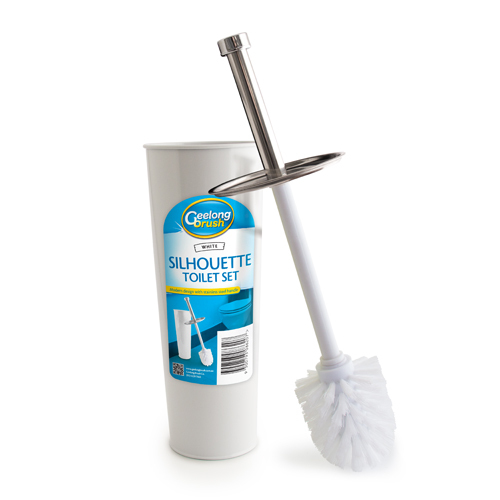 Stiff PP bristles for extra scrubbing. 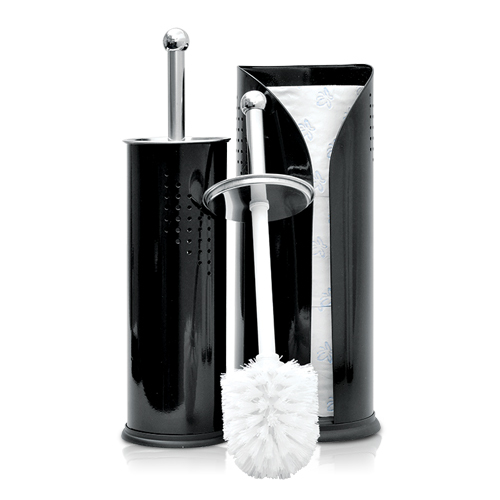 This elegant toilet set is finished with a stainless steel handle and colour powder coated base for durability. Available in 3 colours: black, white and beige. 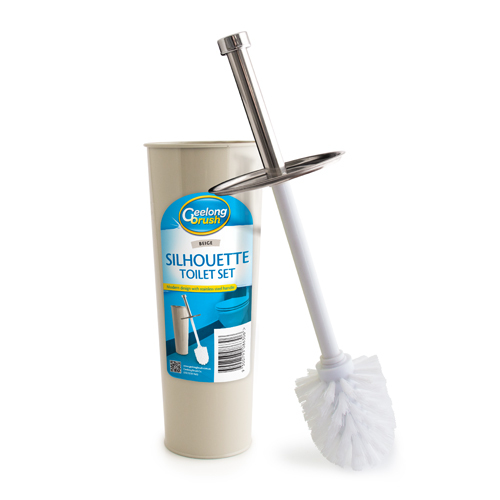 Australia’s highest volume selling Toilet Tidy Set. 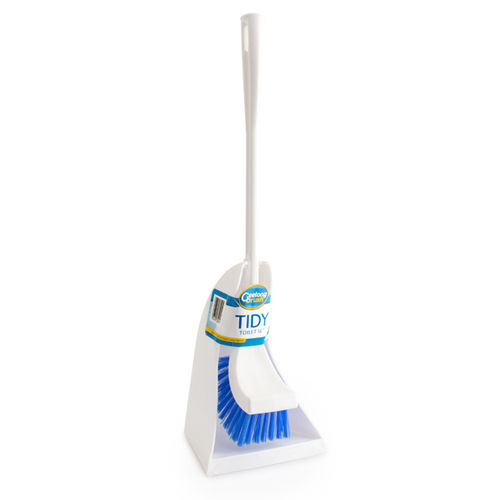 It has extra long handle for reach. 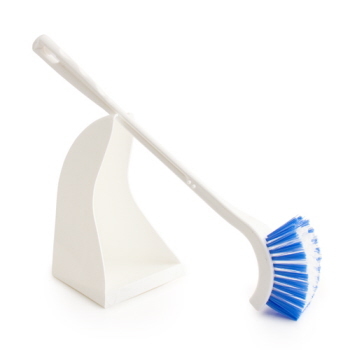 Long lasting polypropylene bristles for scrubbing power. Compact design. 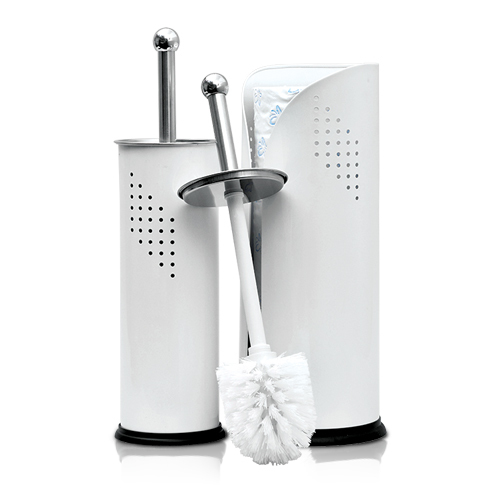 Elegant Designer Toilet Set is finished in white frosted durable plastic with a stylish chrome handle. Superior quality product featuring a domed shaped brush head with a twisted wire under rim cleaner. 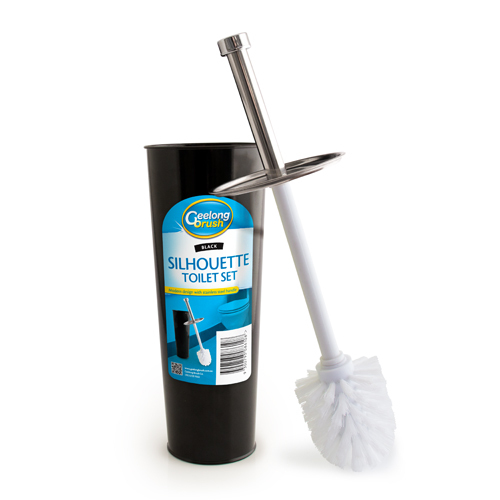 The brush has an overmoulded grip for extra comfort and the holder a colour matched non-slip rubber base. 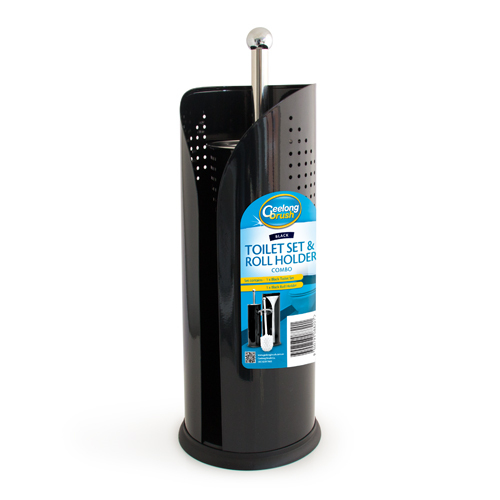 Handle snaps in securely. 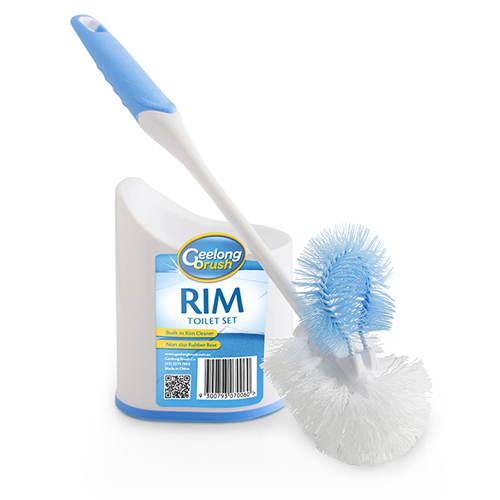 It has a large capacity pan. 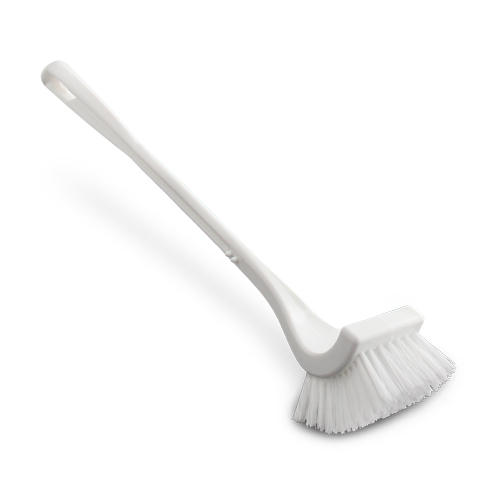 Extra long handle for reach. Long lasting polypropylene bristles for scrubbing power.